So you’re in a restaurant. Great meal. The bill comes, and it’s got a surprise – an unexpected $10 charge because, well it turns out your entrée required a special ingredient the server forgot to mention. Would you pay it? Would you expect to have to pay it? Now look at our health care. You go to the Emergency Room. They take your insurance. Only it turns out, your in-network ER is being staffed by out-of-network providers. Suddenly, in addition to the surprise of having landed in the ER in the first place, you’ve got thousands of dollars in surprise medical costs. What you wouldn’t stand for in a restaurant can happen any day in an emergency room – and New Hampshire Sen. Maggie Hassan wants to do something about it. Sen. Hassan has introduced a bill titled the “No More Surprise Medical Bills Act.” As you’ll hear, her bill aims not only to protect patients from the outrageous bills that suddenly land folks deep in medical debt, she borrows from baseball to find a market-based solution to the problem. And no, that doesn’t involve using a baseball bat… though I bet she wishes it could. While I had Sen. Hassan for the conversation, I also wanted to take the opportunity to ask about another important and divisive issue that – like health care – went to the heart of the recent Midterm elections: Border Security and Immigration. Sen. Hassan sits on the Homeland Security and Governmental Affairs Committee, and I wanted to know: Do Democrats have a clear message on border security and immigration? So in our extraordinarily partisan times, is it reasonable to hope for agreement on a health care bill? What about immigration? You’ll want to hear Sen. Hassan’s answers. Chris Riback: Senator Hassan, thanks for joining me. I appreciate your time. Sen. Maggie Hassan: Thanks for having me, Chris. Chris Riback: There are plenty of current events, of course, to talk about, and if we get a chance, I do want to ask you about a couple of those. I really want to start with healthcare because I heard about your bill: No More Surprise Medical Bills Act of 2018. We’re almost done with 2018, but we got to stop surprise medical bills in 2019. So, what is the bill and why is it needed? Sen. Maggie Hassan: I have been hearing from constituents for a while now, and certainly I’ve had family members who’ve had the same experience. You go to an emergency room, let’s say, and you believe you’re going to your local hospital that’s in your insurance coverage network and you get treated and you, all of a sudden, get a bill because some of the treatment you got, from somebody you never saw … let’s say a radiology technician or a lab technician … wasn’t considered in-network. I had a constituent who, on a Saturday night, cut his finger while he was cooking, went to his local emergency room, in-network hospital, and ended up with a bill for $3500 for his cut finger because one of the treating providers wasn’t in the network. What this bill would do is just take the patient, the consumer, out of this dispute between an insurance company and a provider about how much the provider’s going to get paid. That’s really what is at the root of this. It would just say if you go to an emergency room for emergency care, the most you can get charged is what you would get charged for in-network services, and if you’re going to a provider for elective care, if there’s going to be anybody from out-of-network providing your care, you get advanced notice of that and have to consent to it, so that people won’t get these bills, which can be absolutely fiscally devastating. Chris Riback: And you just hit on the two parts of it from my reading of it. One is the high level, which is how in the world can you go in, can anyone go into the hospital and end up with a massive multi-thousand dollar surprise. You go many places and certain items, a small item might end up a bill that you didn’t expect but not for $3,500 or $10,000 or whatever the cost might be. 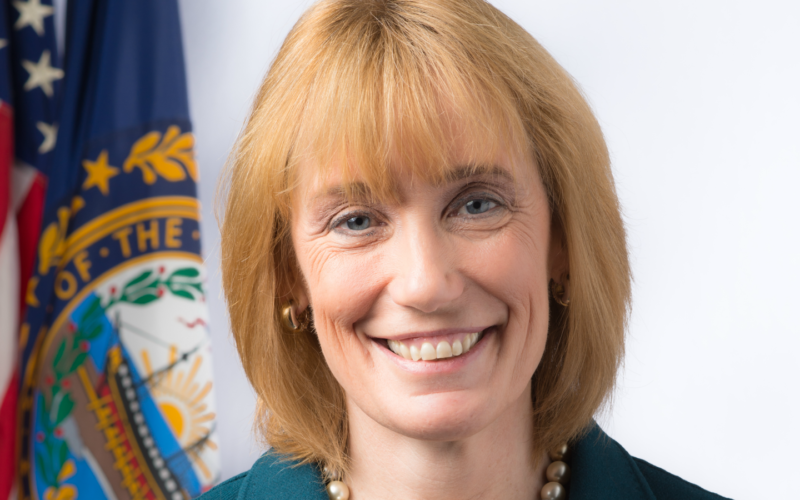 Sen. Maggie Hassan: Yes, I’ve had constituents tell me about $18,000 surprise charges. And some higher. Chris Riback: I would imagine so, and we all get frustrated … go to a restaurant and have the wrong entrée put on your bill and you get a little frustrated on that, and that runs $7, $10, $20, whatever it is. The second part … and this is kind of the workings of the bill, and it’s one of the parts that people are notice. That’s the baseball arbitration model. You kind of hinted at it, but I want to follow up on it now. First, I’m assuming this isn’t just because … I assume you’re a Red Sox fan and they won the World Series. It’s not just about you rubbing that in, doing the whole baseball, right? Sen. Maggie Hassan: Although as a Red Sox fan, I would be happy to rub that in, but you are right. It is because professional baseball has an arbitration system that one could apply here. If you’re going to take the patient out of this dispute, you’re left with an insurance company and a healthcare provider, and the healthcare provider is saying, “I’m not in your network. I expect out-of-network payment here. Pay me what my charges are,” and the insurance company says, as they often do, “Your charges, dear provider, are outrageous.” What this arbitration system would do, this baseball-style arbitration, is say that the provider and the insurance company both get to make a single offer as to what they think a reasonable payment for this care is, and then the arbitrator picks one of those two. They can’t go back and forth with counter offers. The reason this is used in baseball is that it incentivizes both parties to come up with a reasonable offer to begin with. What we know right is that with healthcare costs, the healthcare costs really just seem completely separated from actual market forces. What this bill is trying to do is get both the insurer and the provider to be reasonable, first, to see if they solve it without an arbitrator in the middle of it, but, secondly, to really try to get them to propose reasonable solutions to this. We try to do our part in this bill to change this upward trend of healthcare costs. Chris Riback: I haven’t seen this pushback, but I would imagine … because it’s a terrific idea, right? And you’re trying to solve for … There’s market failure, in a sense, if you have a system that allows for surprise bills of multiple thousands of dollars. I mean, that just seems like a marketing that isn’t working. You are trying to create a system around that. I would think, perhaps … is there pushback … “Come on, Senator Hassan. Great idea, but … it’s a little impractical. How many arbitrators can you get? Big bureaucracy.” Would that be a pushback to your proposal? Again, to your bigger point, the healthcare market isn’t like any other market. Consumers who really … they’re patients, they’re not just consumers … don’t generally make value decisions the way they do about other things, partly because the market has failed in this area so significantly that often providers can’t give patients advance notice of what the procedure’s actually going to cost. They can’t even identify it. If you call around to a bunch of different hospitals and say, “Hey, if I have my knee replaced at your hospital, what will it cost?” In many parts of the country, they can’t tell you, and so what we really need to be doing again is taking the consumer out of the middle of this and really putting pressure on our providers to begin to be able to reasonable quantify their costs, and give them incentives to provide not only high quality care, but lower cost care as well. Chris Riback: What’s the reaction been? I would think constituents are supportive of it. But what about the industry? What about providers and insurance companies? What are they telling you about it? Sen. Maggie Hassan: Well, I certainly think they understand why consumers and patients are upset by these surprise medical bills. The good news is that there is bipartisan concern over this issue and I think all stakeholders understand that concern, and, certainly, I’ve heard from the business community that they understand the concern and would like to address it as well. The most significant kind of pushback I’m getting is on the system for resolving the dispute between the insurer and the provider. One of the things that I hope this bill will also do is provide more incentives for providers to become members of networks, because then they would, in fact, know ahead of time what payment they’re going to get. Right now, what does happen sometimes is … for instance, the constituent I talked about with the $3,500 bill, he ended up negotiating that charge down once he called the hospital involved. It isn’t even entirely predictable for the providers right now with the system we have. My hope is that if we can get this bill through that we would see more providers joining networks and, again, that provides more opportunity to bring costs down. Sen. Maggie Hassan: There’s a thought. Chris Riback: I don’t know if he actually went through arbitration, but somebody like him. There’s got to be someone on the Red Sox who can talk about the positive aspects of the arbitration model. Sen. Maggie Hassan: I am sure there are, and, more importantly, I would expect that I have a staff member or two who would like to find out about that. Chris Riback: All they need to do is go to Opening Day, Senator. Come on. They can take day off, can’t they? Sen. Maggie Hassan: There you go. Chris Riback: Couple questions quickly because I want to be sensitive to your time. What’s possible? Just quickly on the politics of the bill. On the one hand, I would think you have hope. Midterms made clear that voters are concerned about healthcare and costs, and the candidates that didn’t understand that … well, they didn’t do so good, did they? Your committee also has shown the ability … I think you just had an opioid bill passed. Your committee has shown the ability to get done bipartisan legislation. On the other hand, you may be around that there’s not much other evidence that Republicans and Democrats are finding common ground and being supportive, et cetera. Are you hopeful? Can your bill cut through? Can something get done? Sen. Maggie Hassan: I do think something can get done and what we heard really loud and clear from voters in the midterms is how sick they are of the dysfunction in Congress, and, also, how important healthcare is, not just in terms of access but in terms of cost. Surprise medical bills is one issue. Continuing to protect preexisting conditions in the face of an administration that keeps trying to undermine that protection is another issue. The high cost of prescription drugs is another issue. All of those things are front and center for the American public, and it is really incumbent on members of Congress to move forward and really work together to try to address some of those things. There is bipartisan interest in the surprise medical bill issue. Senators on the other side of the aisle have come together. They’ve got a piece of legislation too and we’ve had some discussions, so I am hopeful that we will be able to move forward on this bill and, to your point, that the Health Committee has been able to work in a bipartisan way on critical issues like the opioid epidemic and there’s no reason we shouldn’t be able to know. It’s particularly true and I hope everybody listening to this podcast will remember that when constituents stand up for what they believe in and really continue to communicate with their elected officials about how important this issue is to them, it really does make a difference as it did with the proposed repeal of the Affordable Care Act in the summer of 2017. It is possible and I always say my job is to follow the example of the people of my state who solve problems all the time, and so that’s our job too. Chris Riback: It’s a great example to follow, and, yes, they have a voice. A question for you to shift to. Another committee that you sit on. Homeland Security & Governmental Affairs, and immigration. It’s pretty evident to this point that Trump and Republicans have used the border and immigration issue to whip up their base. That was part of what was discussed around the midterm election. However, it’s equally clear, at least in my opinion, that … and you’ll correct me if you disagree, of course … that Democrats need a clear policy and message on border security, and at this point, it’s not clear the party has got a message that has gotten through. Do you feel that the Democrats have a clear message on border security and immigration? If not, what should it be? And if you do feel like they do have a message, why does it seem to get drowned out? 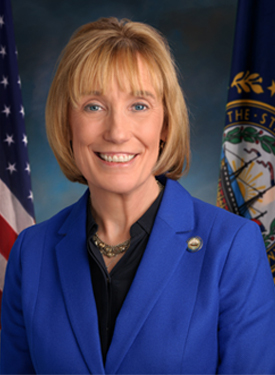 Sen. Maggie Hassan: First of all, we all agree that secure borders are essential, and there have been numerous proposals that Democrats have supported and promoted to strengthen border security, and we have done that based on what our frontline experts, the agents at the border, have been telling us about what they need. They have told us on certain parts of the border, they need fencing. They need to be able to see through that fencing to see what’s happening on the other side of the border. They need more technology. They need more agents. We had put together a proposal in the past to strengthen the technology and infrastructure at the border. We will continue to put forward proposals, and we came to a bipartisan agreement about how to fund the government, which included significant additional funding to help us secure the border. There was bipartisan agreement about that last year. That should continue. And there really isn’t any reason for us to continue to have a kind of binary view of this. There are solutions here and I think we need to just continue to focus on what the frontline experts are telling us that they need at the border to make sure we have strong border security. We also know that we need to have a comprehensive solution to a very broken immigration system right now, and, again, Democrats have made strong proposals in that regard. I was part of the Common Sense Caucus last winter that met, that came up with a proposal that had a lot of bipartisan support, and I think we need to continue to focus on solutions here because all Americans want a secure country, a secure border. They want us to approach it in a way that’s consistent with our values and with the common sense that has always informed good policymaking in our country, and I think that is possible. But, at a certain point, this comes down to whether the President is going to join in with us and try to really reach a solution here and nobody can decide that for him. He just has to decide he’s willing to work with us on it. Chris Riback: Well, perhaps you can start with surprise medical bills, get the Senate cooperation on that, and then you can move and solve immigration and then you can call it a year. Sen. Maggie Hassan: That would be the beginnings of a very good year. I appreciate that. Chris Riback: It sure would. Senator, thank you so much for your time. Sen. Maggie Hassan: Thank you, Chris. Take care.